Lanternshop Blog - welcome, and thanks for visiting! My passion is lanterns - and we source all types of lanterns and decorations to make your event spectacular and memorable! This blog will be a frequent update of news, happenings, events, special offers, and the 'behind the scenes' of the lanternshop team. We hope to bring you inspiration and ideas to help you plan and decorate your weddings, themed parties, Chinese New Year celebrations, or any other special occasion! 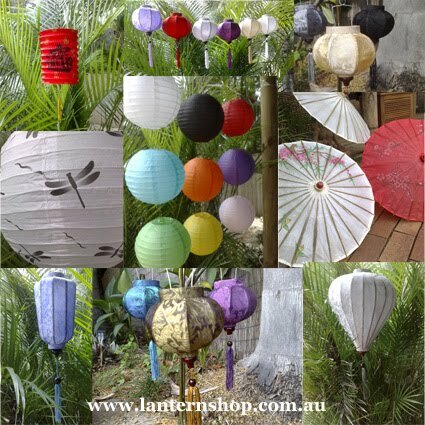 Silk and paper lanterns also make interesting and functional home and garden decorating features, and are very popular with interior designers! Some of you already know us from dragonfly, but for those who haven't met us before, here is the team! Its mainly an all-girl team!! 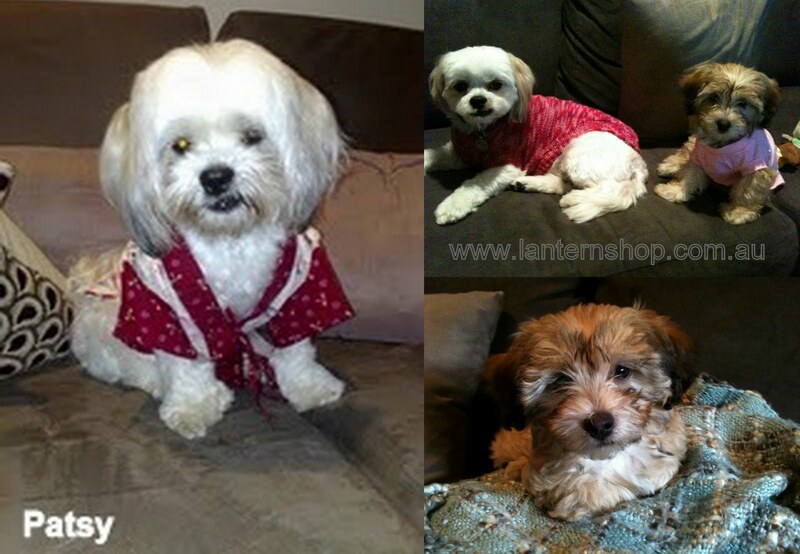 There's myself (an interior decorator by trade), and my two hardworking and loyal assistants Patsy and Frankie. 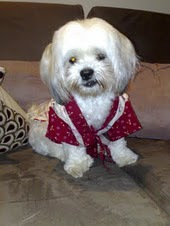 They are shihtzu-maltese, and the sweetest little girls in the world. They help make every work day fun and interesting, and there's never a shortage of cuddles! Mr Lantern helps with the muscle power when required, and we are very thankful for that!! We are based in Brisbane Australia, and we send lanterns all over Australia, and sometimes internationally too! I travel to Asia frequently, mainly Vietnam and China to find the best quality silk fabrics, paper lantern designs and LED lighting systems. 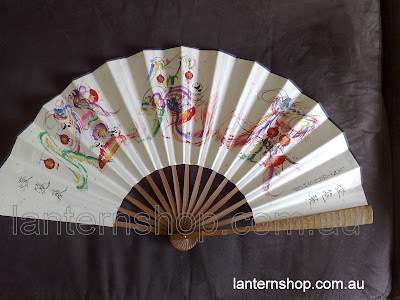 The next shipment is due early August, and will have some really exciting new things I found on my trip in May ..... silk and paper fans, parasols in great new colours, nylon solar lanterns, and some really nice wedding centrepiece lanterns - Can't wait. 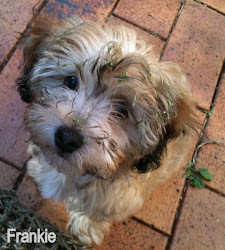 Of course, details and pictures will be on this blog the minute I've unpacked the container!! So stay tuned! Not only do I find great things for my customers, I also got this beautiful fan for my warehouse. It was hand painted (in about 5 minutes) by a very talented young man in Shanghai. 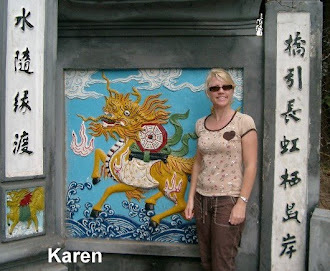 It has the chinese characters for lanternshop, decorated with goldfish, lanterns and panda bears. So clever!! At the moment, my Chinese is very limited, but I can say the word for 'lantern', so I was able to convey my message of what I was wanting, what a miracle!! I'm so impressed!